How afraid of human cloning should we be? The cloning of macaque monkeys in China makes human reproductive cloning more conceivable. At the same time, it confirms how difficult it would be to clone a random adult — Adolf Hitler, say — from a piece of their tissue. And it changes nothing in the debate about whether such human cloning should ever happen. Since the cloning of Dolly the sheep by scientists in Scotland in 1996, several other mammals have been cloned, including dogs, cats and pigs. But the same methods didn’t work so well for primates — like monkeys, and us. That’s why this latest step is significant. It shows that, with a bit of modification, the technique used for Dolly can create cloned, apparently healthy baby monkeys. The pair made this way by scientists at the Institute of Neuroscience in Shanghai have been christened Hua Hua and Zhong Zhong. Crucially, the cute duo were cloned from the genetic material in cells of a macaque foetus, not from an adult monkey. This material — the chromosomes, housed in the cell’s nucleus — was extracted from the donor cell and placed inside the egg from an adult monkey, from which its own nucleus had first been removed. The egg was then stimulated to grow into an embryo in a surrogate mother’s womb by quickening it with gentle pulses of electric current, which makes the egg respond as if it had been fertilised. The important additional step — not needed for Dolly and her ilk — was to add some molecules to the egg before implantation that could activate genes involved in embryo development. Without that encouragement, these genes don’t seem to “awaken” in primates, and so the embryo can’t develop. But it seems that, in adult cells, those genes can’t so easily be revived, which is what still prevents the successful cloning of adult monkeys. In contrast, Dolly was cloned from cells of an adult ewe. The Chinese scientists want to clone monkeys to study the genetic factors behind Alzheimer’s disease. With a strain of genetically identical monkeys, they can deactivate individual genes thought to play a role in the disease and see what effect it has. Such biomedical use of primates is fraught with ethical issues of its own — it is of course the very closeness of the relationship to humans that makes such research more informative, but also more disturbing. But the research also reopens the debate about human reproductive cloning. No one can yet know if cloning of a human foetus would work this way, but it seems entirely possible. Human cloning for reproduction is banned in many countries, and a declaration by the United Nations in 2005 called on all states to prohibit it as “incompatible with human dignity and the protection of human life”. Right now there is every reason to respect that advice on safety grounds alone. Hua Hua and Zhong Zhong were the only live births from six pregnancies, resulting from the implantation of 79 cloned embryos into 21 surrogates. Two baby macaques were in fact born from embryos cloned from adult cells, but both died — one from impaired body development, the other from respiratory failure. By most estimations the success rate will improve — and that there will eventually be successful cloning from adult cells. That won’t obviate safety concerns for human cloning though, and it’s hard to see quite how the issue can ever be convincingly resolved short of actually giving it a try. That was how IVF began. Many people, including some scientists, were convinced that it would lead to birth defects. But in the absence of a clear ethical framework, Robert Edwards and Patrick Steptoe were able to try it anyway in 1977. Their bold, even reckless move has now alleviated the pain of infertility for millions of people. It’s hard to make any comparable case for human reproductive cloning — to argue that the potential benefits create a risk worth taking. To construct a scenario where cloning seems a valid option for reproduction takes a lot of ingenuity: say, where a heterosexual couple want a biological child but one of them is sure to pass on some complex genetic disorder and they object to sperm or egg donation. Even in those cases, advances in other reproductive technologies such as gene editing or the production of sperm or egg cells from other body cells seem likely to render recourse to cloning futile. It’s not hard to think up invalid reasons for human cloning, of course — most obviously, the vanity of imagining that one is somehow creating a “copy” of oneself and thereby prolonging one’s life. That notion would not only be obnoxious but deluded. Which is not to say that it would prevent someone from giving it a go. The fantasist “human cloning company” Clonaid, run by the Raelian cult, which spuriously claimed to have created the first cloned child in 2002, stated (with no apparent irony) in its publicity material that “a surprisingly large number” of the requests it had received “come from the Los Angeles/Hollywood area”. Yet, although human reproductive cloning would be foolish and lacking solid motivation, that doesn’t excuse some of the baseless reasons often advanced against it. Suggestions that a cloned child would be stigmatised, “diminished”, “handmade”, “unnatural”, “soulless” and the start of a slippery slope to Brave New World, echo many of the earlier objections to IVF (in vitro fertilisation). 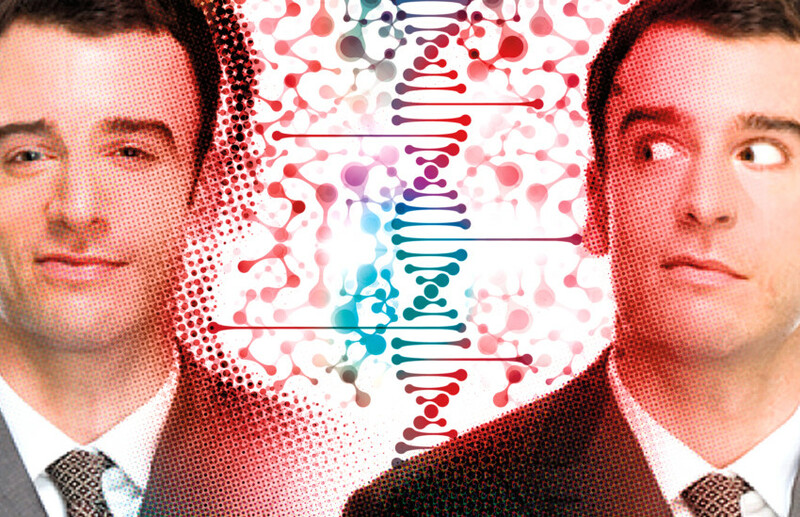 The cloning debate reveals more about our prejudices towards reproductive technologies in general than it does about our ability to make wise decisions about biomedical advances. A good case was never made with bad arguments. Philip Ball is a science writer.